Does the innovations developed by TriggerTech really make a discernible difference? 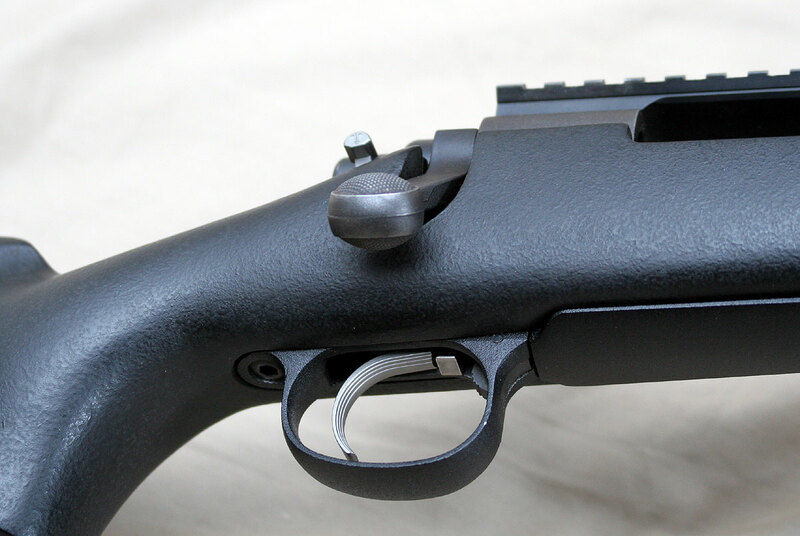 There are many different aftermarket triggers available for most of the common bolt action and semi-automatic rifles on the market and we have even reviewed the nice two-stage trigger from Timney, which we liked. Timney is obviously not the only game in town with companies like Jewell, Rifle Basix, Shilen and others all offering replacement triggers for Remington 700 and other rifles. TriggerTech is one of the newer companies out there making aftermarket triggers but they pride themselves in innovation and we recently had the opportunity to try one of their Remington 700 ‘Primary’ triggers to see if their innovations really made a noticeable difference. The factory Remington 700 triggers are contained in a single sealed unit and have been that way since the original Walker trigger design and in all of its iterations since, including the current XMarkPro and 40x triggers. This makes replacing them fairly easy and straightforward and just about “plug and play” after a proper function check. 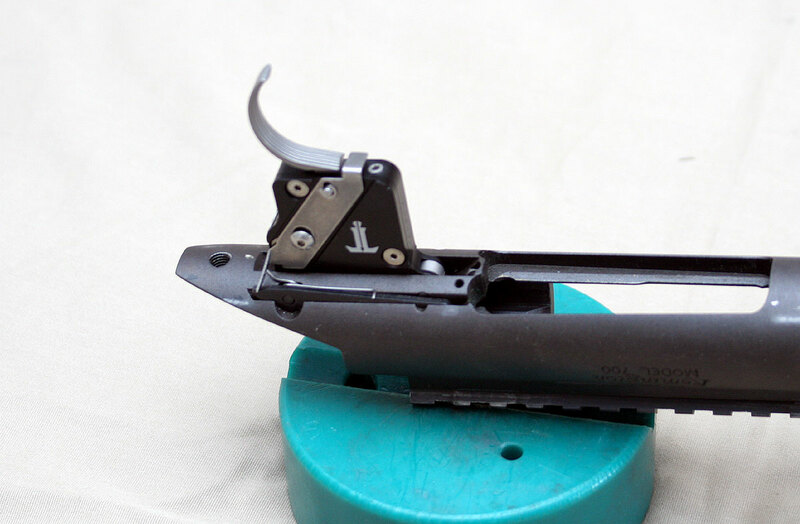 Do be aware that while the job of replacing a Remington 700 trigger is easily accomplished by anyone with basic shop skills, it is recommended that a qualified gunsmith make the change to insure the rifle remains in a safe operational state. FIREARMS are not toys and the the ultimate safety of yourself and those around you relies upon your sound judgement and proper firearms handling skills, to include having a replacement trigger properly installed. The TriggerTech housing is made of aluminum and everything is finely machined and nicely marked on the housing. The safety is nicely shaped and is thick and stiff enough to provide a very positive feel when operating it. Of course, due to the Remington design, it remains a two position safety. The thumb lever has a bit different shape with serrations on it and it looks nice and provides a good feel. There is a also the TriggerTech logo on the side of that thumb lever which is a nice visual touch as well. It operates with a very positive click and does so smoothly without any ‘notchiness’ to it. The color is a matte grey and while we would prefer a matte black safety and trigger shoe on a tactical rifle, it is not bad and it is small enough not to be a huge concern. When looking at the bolt release mechanism, found just in front of the trigger shoe, it is a bit thicker and stiffer than the factory Remington unit and it is attached to the left side of the housing in a more precise method which equates to a better feel with less flex than is found on the Remington factory triggers. The bolt release has long been a questionable spot on the factory triggers with the mechanism sometimes not providing a good positive operation of the bolt catch. The TriggerTech unit seems to do a better job of this, at least on our one test trigger here. The trigger shoe is available with either a curved trigger or a straight trigger and the test trigger we have has the curved shoe. The shoe is finished in the same matte grey color as the safety and is fairly bright. For tactical use we like flat black shoes that are wider with vertical ribs to help with trigger control and the TriggerTech shoe is very nice. It is not as wide as the Timney 510 triggers, but it is wider than the factory Remington triggers. The ribs are also well spaced and the shoe has a very good overall design. Just in front of the bolt release button is the only adjustment on the trigger, which is for the weight of pull. The standard ‘Primary’ version of the trigger has an adjustable weight of pull from 1.5 – 4 pounds which is done using a single Allen screw. There is another version of the trigger called the ‘Special’ which is adjustable from 1 – 3.5 pounds and has a few more ‘special’ improvements, but we could not find out what those improvements were beyond the phrase ‘additional hand refinements’. The Special all costs a bit more. Both the Special and Primary triggers are available in left handed configuration as well. The unique thing about the adjustment screw on the trigger is that it has eight clicks per rotation and these clicks each represent 1 ounce of pull weight adjustment, which gives the operator a means of determining just how much adjustment to dial in to get close to the poundage they want. Down on the light end of the adjustment spectrum the clicks were not as nicely refined on our test trigger and sometimes it was hard to tell if it actually clicked once or if it was a semi-click. On the upper end of the scale, the clicks were nice and very discernible. The trick is that if you pay attention to the orientation of the Allen wrench then you can tell for sure when a click happens, as each 1/8 of a turn is a click. For our testing, we decided to take our Remington 700 test mule rifle that sees a lot of use and to replace that factory trigger with this TriggerTech Primary trigger. After clearing the rifle and removing the barreled action from the stock, we then used our punch and hammer and removed the two pins holding the factory trigger onto the action and removed the trigger. The TriggerTech triggers have the sear sealed to the housing so they do not flop around like the factory Remington triggers do and this makes installing the new trigger a bit easier. It only took a couple of minutes to change the trigger out and then we began to run our preliminary tests and function checks with the barreled action removed from the stock. 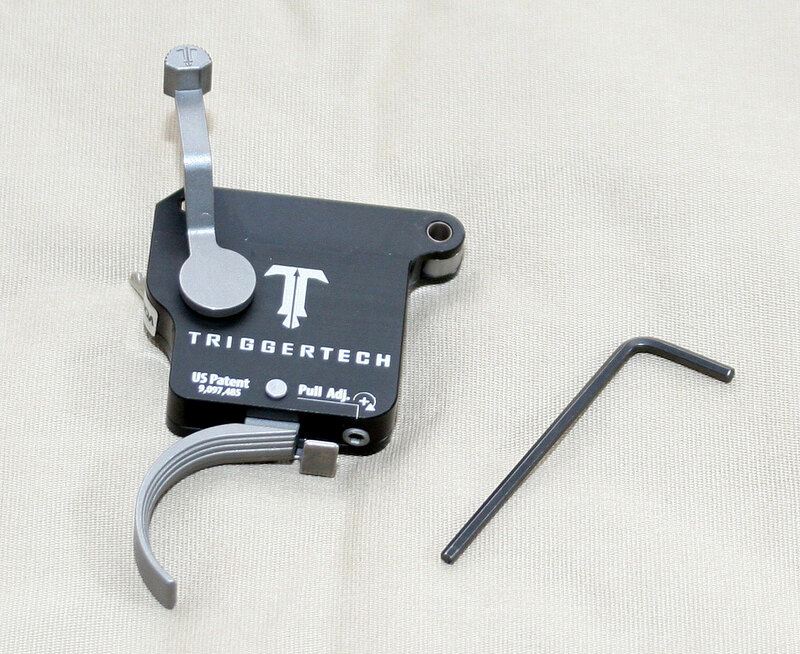 TriggerTech touts many new technologies with their triggers, including FRT, TKR, and CLKR…. we actually had no idea what those were and had to go to their web page to discover what they are supposed to be. 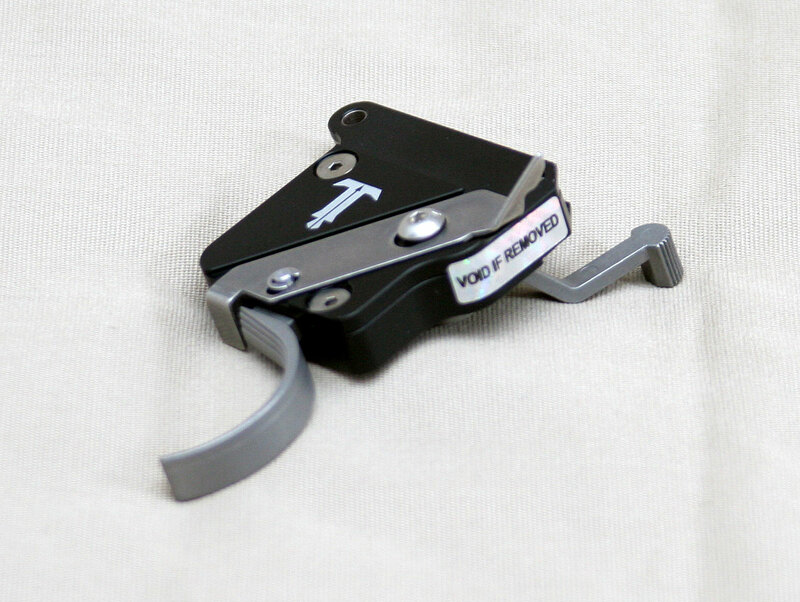 FRT is Frictionless Release Technology and is perhaps the most revolutionary idea in their triggers. 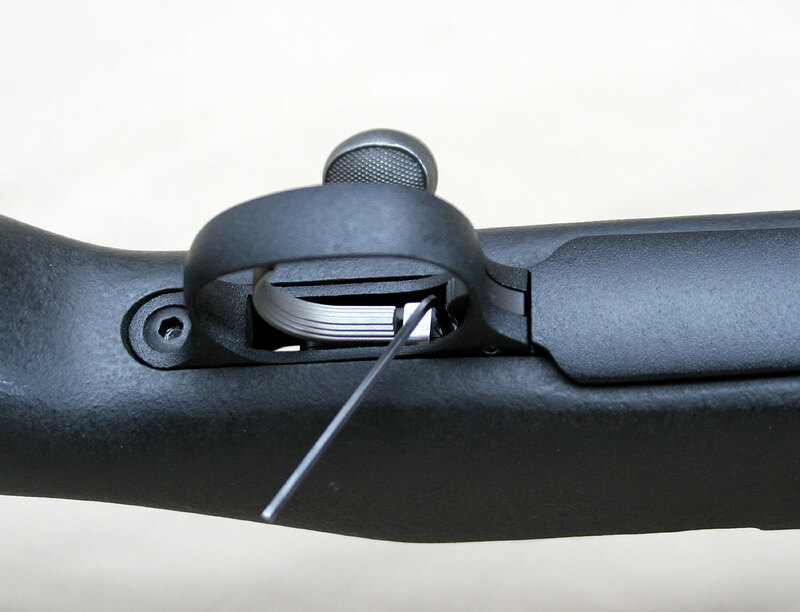 All of the triggers from other manufacturers use sliding friction between the trigger and the sear when in operation. The TriggerTech FRT incorporates a roller between the trigger and sear allowing them to improve the release characteristics of the trigger when releasing the sear…. in short, its suppose to give a better break. TKR stands for what they call the ‘ticker’ and is a new component that pivots freely from the trigger and is used to control overtravel to less than .030″. They actually state that on the Remington 700 Primary triggers the overtravel is only .015″. It also is suppose to provide a good feel for the trigger when it breaks as well. Finally, CLKR is the “clicker” technology that provides the clicks when adjusting the weight of pull on the triggers which we discussed above. The system also has a fail safe that prevents the screw from locking trigger operation if it is either overtightened or removed completely. Additionally, beyond the housing being made from anodized Aluminum, all of the internal components of TriggerTech triggers are made from 440C stainless steel. This combination makes the triggers very resistant to corrosion and with the FRT system removing a major friction point that can require lubrication, TriggerTech has done what they could to minimize any required maintenance or fail points in their triggers. Because of this, they come with a lifetime warranty. All of this is fine and dandy, but the real question is whether or not this new technology and design work makes a better trigger? With the trigger installed on our test rifle, we began to run tests adjusting the trigger from the bottom of the adjustment scale up to the top and measuring the weight of pull using our trigger gauge and then evaluating the trigger pull and break with our own trigger fingers to come up with some opinions. We can report that the trigger is excellent! There is no creep or takeup and the break is fantastic. Once the trigger broke, we could not discern any overtravel, so we’ll have to assume that it is less than the .015″ that they claim. The trigger shoe is very comfortable and well shaped and we were pleased with its design as well. Because the break has very little friction due to the roller system, the trigger pull actually does feel lighter and we settled on a 3 pound pull after testing the range. The location of the adjustment screw is a bit of a pain, but as you can see from the picture below, it is adjustable without removing the barreled action from the stock. When we were performing the tests at the extremes adjustment ranges, we did it with the barreled action removed from the stock because of the large amount of adjustments that needed to be made with the Allen wrench. If you are fine tuning or adjusting the weight of pull by +/- a pound, it can be done without issue with the stock mounted and using the wrench. We also need to state that the 1 ounce per click is a rough number. Down on the lighter end of the adjustments, it was not nearly as precise as in the middle of the range. Sometimes taking two or three clicks to get an ounce change. But that is a minor issue as no other trigger (that we know of) has any sort of clicking system and it is still a good means for making adjustments and to know “about” how far the trigger was adjusted. Like we already have mentioned, once the trigger was up to about 2.5 pounds the clicks were pretty accurate. According to our many measured tests, the weight of the pull was consistent without much variation from pull to pull and overall we are very pleased with these triggers. The price is right in the same range as Timney which puts them less than Jewell triggers. Honestly, we really like these triggers and plan to use more of them in the future and we would recommend them to those that might be looking for a new trigger for their Remington 700s. 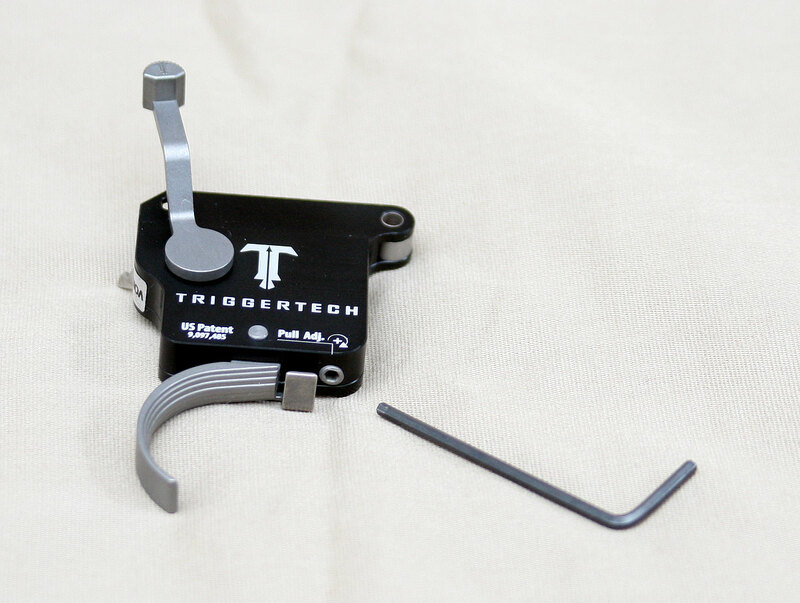 TriggerTech does not yet have them for any other bolt actions, but they do have an AR trigger as well, though we cannot comment on the performance of those triggers. If you are interested in purchasing a TriggerTech, we have them here. Looks just like a Jewell. I’ve been using this trigger for over a year now with a few hundred rounds down the pipe of a Remington 700 AAC-SD .308. No problems with it at all. their is a recall on the first triggers sold so go to the website and check your serial number because the rollers inside are cracking and making the gun or crossbow go off by them self. lets see how fast they return your trigger you send them. I have the trigger tech special on my Master Piece arms 6 5 creedmore . The “special” bottoms out at 1lbs . They just released the diamond edition . It goes down to 4oz and up to 2lbs . Surgeon rifles , Master Piece Arms, and Christianson arms use trigger tech triggers . Cant wait to buy the Diamond edition . I have a custom Surgeon — 6.5 Creedmoor – Bartlein barrel – Cadex Defence Dual Strike chassis…. with the TriggerTech trigger — I have it adjusted as low as it will go and that gave me 1.5#’s…. My buddy has a Jewell at 8 ounces….. I’m going to replace my TriggerTech with the Diamond series. I have Elftmann triggers – Geissele triggers – Timney triggers….. but I will say this TriggerTech is SWEET! !